In honor of the 150th anniversary of Abraham Lincoln's inauguration, one man is following in the size-14 footsteps of our 16th president. Richard "Fritz" Klein is making the journey from Springfield, Ill., to Washington by car and Amtrak train. He has copies of Lincoln's itineraries and is set to arrive in D.C. on Wednesday. 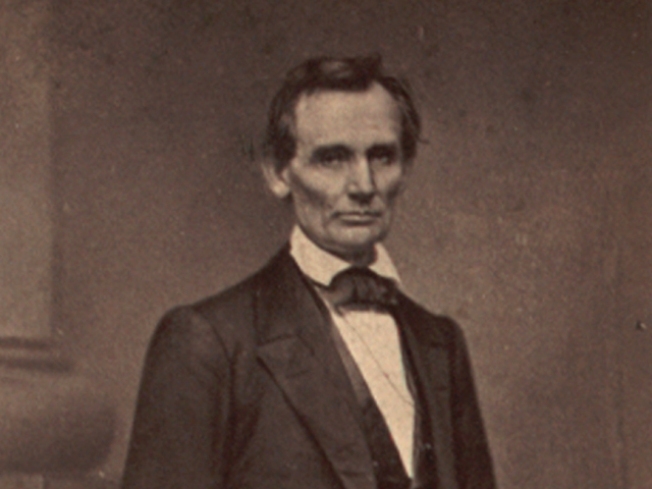 In 1861, Lincoln made the trip to Washington by train, stopping in 16 cities and towns to speak to a nation that was on the brink of civil war. A group of students from Baltimore's Digital Harbor School will join Klein from Baltimore to Washington. They'll arrive at Union Station at 11:30 a.m. Wedhesday and then tour Ford's Theatre Museum. Klein is no stranger to echoing Honest Abe; he stars in the orientation film at the Lincoln Home National Historic Site in Springfield. The Lincoln re-enactor's trip is sponsored by the National Park Service. After Klein's arrival in D.C., NPS Director Jon Jarvis will speak with students at Ford's Theatre to discuss how the sacrifices of 150 years ago continue to have an effect on life today.